Perito Moreno is the biggest in the world glacier accessible by land and one of the must see things in Argentina. The size of it is quite impressive; 250 km2 ice formation and 30 km in length. Many tourists after exploring wild Patagonia get a bit disappointed when visit Perito Moreno and it’s understandable. The place is absolutely touristy with developed infrastructure and many people around. Extensive system of wooden bridges that you can walk for an hour or two and see the glacier from different angles, cruise boats carry tourists as close as possible to the glacier etc. But Perito Moreno is very impressive and worth of visit nevertheless its crowds and commercial side. 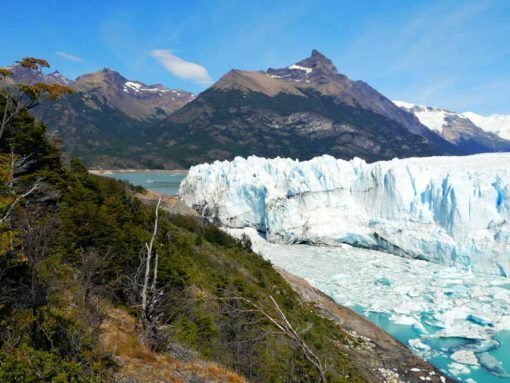 I hope our Perito Moreno backpacker’s guide will help you to save some money! Quite expensive for foreigners ARS 260/$17. Ticket is valid for one day only so try to come earlier to have enough time to explore the area. You can pay only by cash in local currency (Argentinian pesos), no cards accepted. 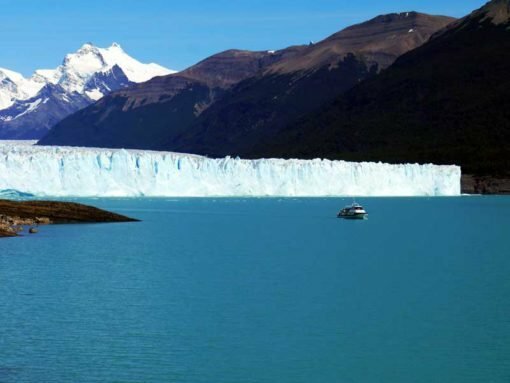 It’s possible to do a boat tour and get closer to the glacier as well as hiking tour on Perito Moreno for more details go HERE. Perito Moreno park is 80 km away from El Calafate not very far. Our plan was to hitchhike but we were very lucky. We made friends with our camping neighbors and they invited us to go together to the park. We drove together to and back. Otherwise you have two options; hitchhiking or taking a bus. Hitchhiking in Patagonia works good we did it everywhere and always got rides. If you decide to hitch start early in the morning when the most people drive to the park. To take a bus from El Calafate bus terminal, bus companies Caltur, Taqsa-Marga, Transportes RP, Patagonia Ya, Chalten Travel. One way costs ARS 275/$18. 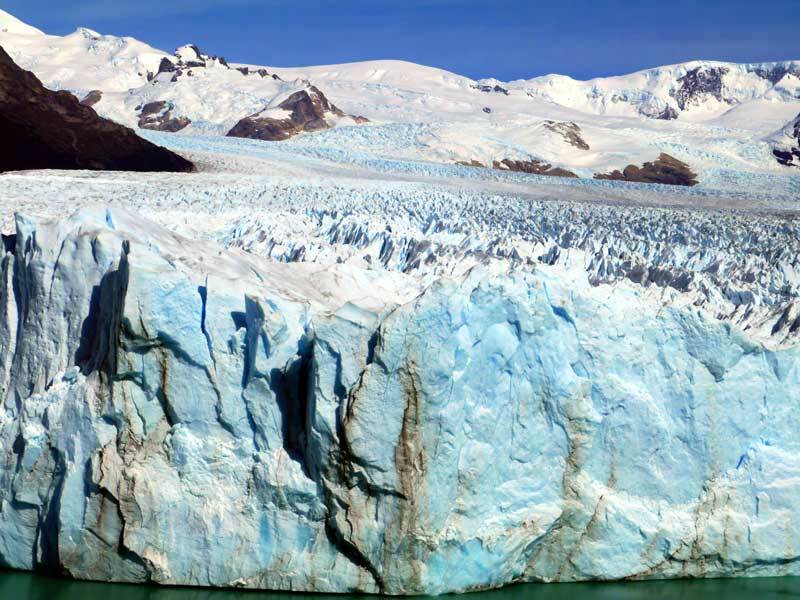 From El Calafate buses leave at 8.00, 8.30, 9.00, 9.30, 13.00, 13.30 and 14.00. 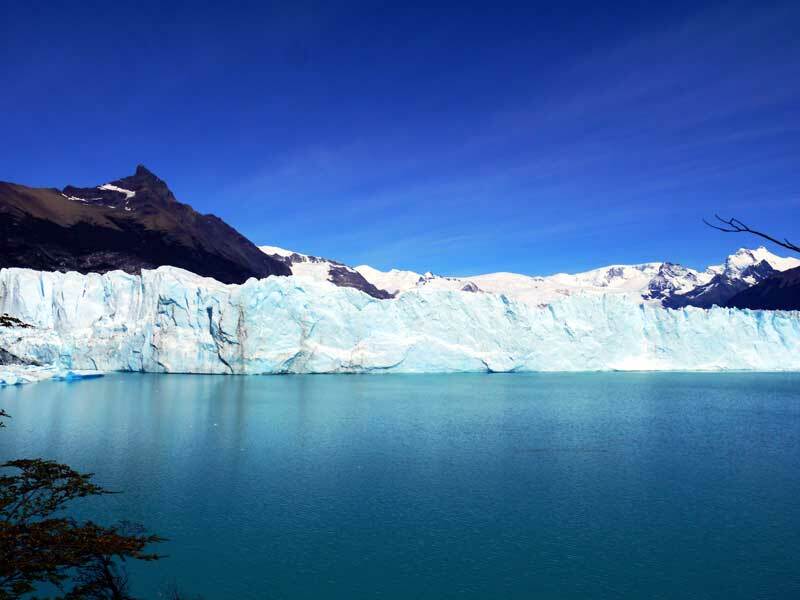 From Perito Moreno buses leave at 13.00, 14.00, 19.00, 19.30 and 20.00. The journey takes 1h30min. Take sandwiches or snacks with you to the park everything is very expensive and not many places to buy food. The city is 80 km away from the park and all tourists who come to see the glacier stay here. 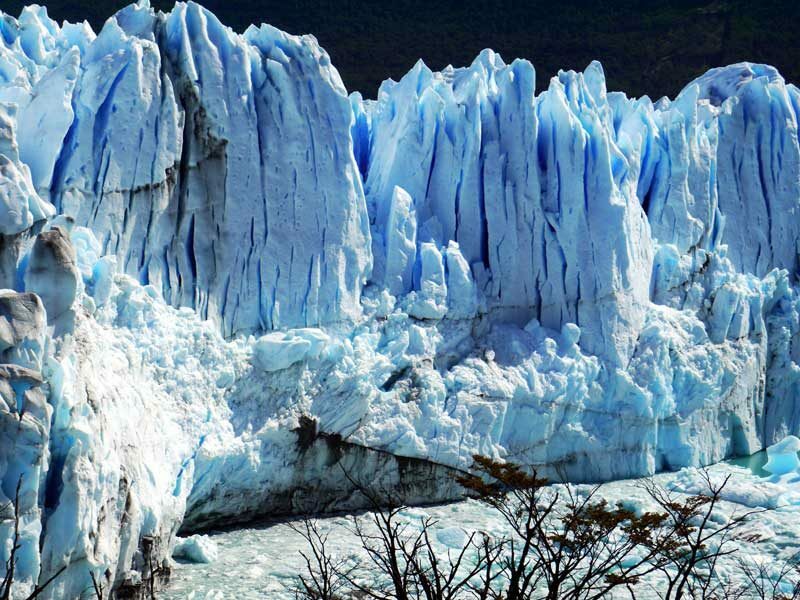 It has good infrastructure and al you need to spend a day or two while visiting tha famous glacier. In El Calafate there are several ATMs and money exchange places. Fancy shops, supermarkets and restaurants accept cards. The main problem with many ATMs in Argentina is the limit ARS 1000/$70 per transaction and the commission is quite high. To get bigger amounts try to find ATMs of international banks like Citibank or Santander. Budget accommodation in El Calafate? We stayed at AMSA camping to the left from the bridge. It was the cheapest option in El Calafate, ARS 100/US$6,5 per person. The camping was good and clean. It has toilets, hot water showers, electricity, tables and benches, wi-fi at the reception area and places for barbecue. Most of the tourists here are locals many with their own cars it’s a nice place to meet people and maybe arrange a ride to the park. There are two more campings in El Calafate Hostal/camping El Ovejero with beds from US$12 (don’t know their camping prices) and Los Dos Pinos. 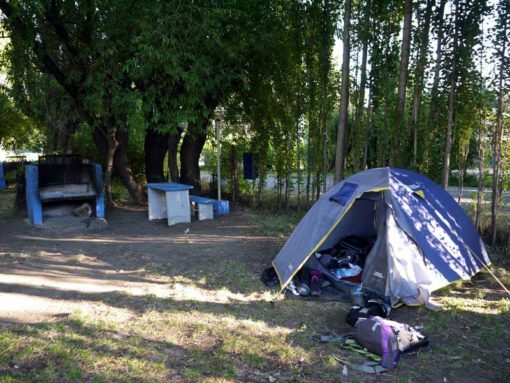 Some backpackers stay next to the river for free but there is no camping there it’s just an empty space so no toilet or shower. Of course there are many hostels and hotels in El Calafate, from US$10 for bed in dormitory (Calafate Viejo hostel) in high season it’s better to book in advance. Where to eat in El Calafate? The town is expensive and has many restaurants and bars but we never ate out there. We always cooked using our stove and one night we had a big barbecue with wine that our Argentinian friends made for us. There is a big supermarket with normal prices not far from the camping. There are some bakeries and butcher’s in the town as well. We came from El Chalten 215 km away from El Calafate, of course hitchhiking. It took a while waiting in El Chalten but we still made it in one day and arrived late evening at our camping. You can get here by bus El Calafate has good connection with El Chalten, Rio Gallegos and Puerto Natales. Buses from/to El Chalten leave several times a day, price starts from ARS 370/$25, the journey takes 3 hours. There is an airport in El Calafate with direct flights from Usuaya, Buenos Aires and Bariloche several times a day. From El Calafate we hitchhiked to Puerto Natales and it was quite successful we made it in one day. Local people were very friendly and helpful. Some taxi drivers with passengers driving from town to town picked us up and drove for free sometimes even out of their way. Total: ARS 860/$57 or 290/$19 per day. Want to know more about traveling South America check our South America travel budget article HERE. 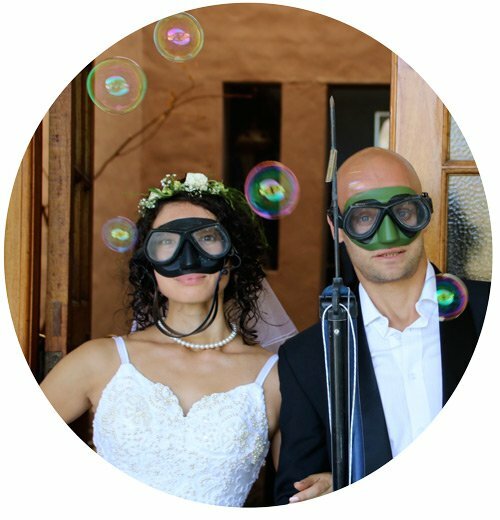 We’re currently traveling in South America and just wanted to say that every time we try to find some advice online your blog shows up! 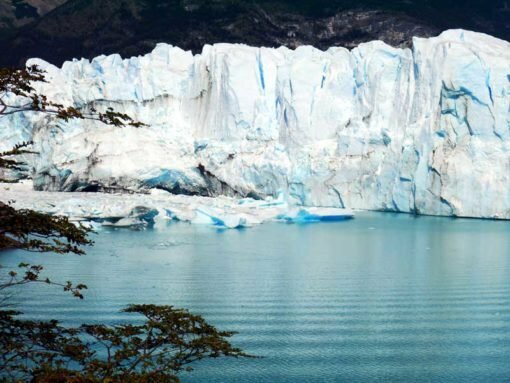 We’ve planned a lot based on it – From hiking in Ausangate, to pitching our tent in the desert of San Pedro de Atacama, and now we’re down in Patagonia trying to figure out how to visit the Moreno Glacier the best way. Thanks for sharing! Hi, Jonas! Thank you for the comment! We’re glad our blog was helpful for you! We camped in El Calafate and went to the glacier in the morning (didn’t have to hitch we made some local friends in the camp and they gave us a ride) didn’t see any campsites close by while driving. Some people mostly cyclists go camp somewhere in the bush just before the park gate but it’s still quite far from the glacier I’m not sure you’ll be able to watch sunrise fro there. There is campsite in the park itself. If you find something, please, let us know! Goo luck and enjoy Patagonia! Very precious thisarticle. Thank you 🙂 One question: How did you go to El Chalten ? Hello, Elodie! Thank you! We hitchhiked from El Chalten to El Calafate and from El Calafate to Puerto Natales. you guys – i should have read all your imfo befor i booked my toour! You have amazing advise – one should just take the time to do it!